On being asked about Kangana Ranaut’s claim of not getting the support of Alia Bhatt for her film Manikarnika, the latter said that she will personally apologise to the actor if she has upset her. Alia Bhatt said Thursday she will apologise to Kangana Ranaut on personal level if she was upset with her. The "Razi" actress' response comes days after Kangana lashed out at her for not responding to her gestures. In a recent interview, Kangana had spoken out about how people in the industry, including Aamir Khan and Alia Bhatt, did not support her during the release of "Manikarnika". 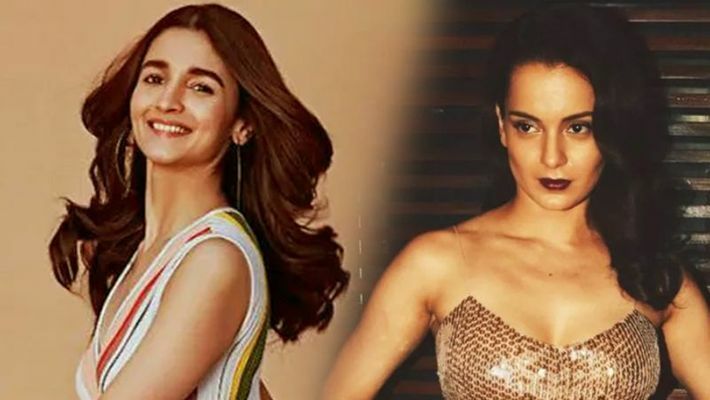 Kangana said while she had turned up for the screenings of Dangal, Secret Superstar" and "Raazi", Alia and Aamir failed to respond during the release of her film. The actor, who is currently promoting her upcoming film Gully Boy with Ranveer Singh, said she has always admired Kangana. "But I have always said that I have admired her a lot as an actor and a person. She is very outspoken and it takes courage to be that way. I wasn't aware of this problem or anything, I was busy with the shooting. So yes, what can I say, I don't want to upset anybody," Alia said in an interview Thursday. Kangana on Thursday claimed that the industry had ganged up against her for her "nepotism" comment but she was not afraid. Ranbir Kapoor adds Alia Bhatt to his family WhatsApp group. Is the next celeb wedding on cards?